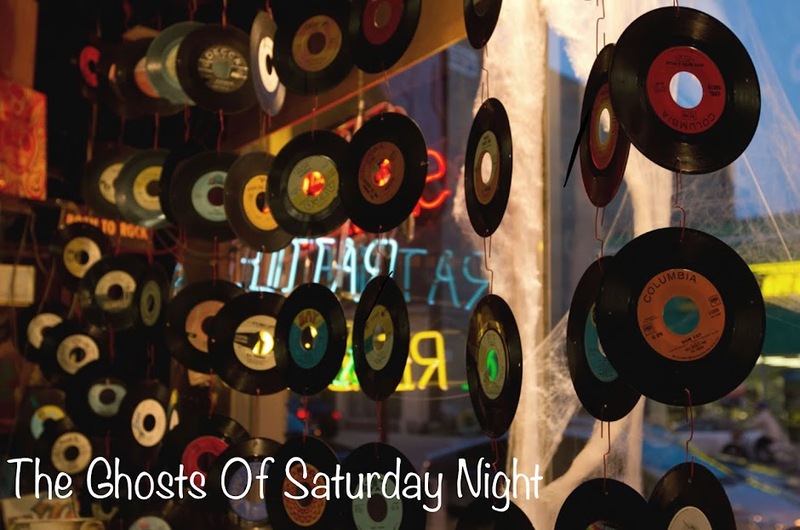 The Ghosts Of Saturday Night: Guitar Dummy Goes Ape! So, I traded my Hagstrom Swede for a Mosley "Pasadena" Tele. I dunno why, I just felt like it. Ended up getting acquainted with Mosley's sales rep, Jay. A nice guy. Apparently, Mosley was an obscure brand name in the 60s. I cannot find any evidence of this on the web. No mention in any of the rare guitar books I have, either. None of my guitartard friends has heard of the name. According to Jay, though, and the Mosley website, it's true. I thought it might refer to MOSRITE, and Semie Mosley, the owner/designer of that legendary company, but Jay says no. 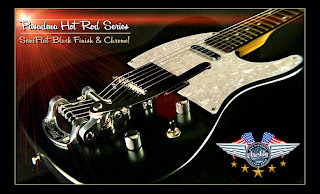 Mosley these days is a relic guitar company, that is providing relic'ed, original vintage style guitars at cheaper prices. Some very very nice guitars on their Website. So of course, I was interested, and Jay was interested in getting his hands on my Hagstrom so they could relic the thing and sell it on eBay. I'm not at all into relic guitars (you want me to pay MORE money for a guitar that's beat up??? ), so i was glad to see their Hot Rod Pasadena model. Nice, no? Upon recieving the guitar, I noticed some stuff. First, the headstock says "USA Custom Shop", but it's obviously a Korean guitar. Jay confirmed this for me. Korean parts, anyway. Secondly, that the neck plate on the back of the guitar reads, "Number 100 of 76." Hmmm. Jay assures me that this is the "old school" way of doing things, and people of today just don't understand. Could be true, but I've never heard of that. In all fairness though, who knows, stupider things have happened. I also noticed that they are selling a Strat copy, very nice one, that they are calling the Fullerton. However, the headstock of the guitar pictured actually reads, "FullertIon. Perhaps that's the old school way of spelling Fullerton, who am I to say? So back to my swank Pasadena. It's got some other weird things going on. The headstock also says "Vintage '52 Series". Anyone who knows guitars , though, will see that this axe looks nothing at all like a '52 Tele. It's very, very nice, but sorry, nothing to do with '52. Jay says that the headstock refers to another model. A loose tone pot/knob, and a very acute and worsening grounding problem. I've had the guitar two days, and it's already giving me little shocks every time I touch it. My final issue with the beast is the pickups. Mosley refers to this humbucker design as their own "exclusive" Quad blade humbucker. However, the much cheaper China-made Stadium brand has a Tele with EXACTLY the same set-up. Jay tells me the pickups are "basically" Seymour Duncan hot rails. I'm not a huge Seymour Duncan fan, but this pickup has no character whatsoever. I'm going to be switching it out,very soon, for a Guitar Fetish Nashville pickup. And I'm going to take it to a Pro to get it done, so he can fix the grounding problem and loose knobs while he's at it. Mosley is selling this guitar on their website with a case for $799., and without a case on eBay for $499. But my opinion is that it's actual selling price should be around $199. to $249. There are Squiers and Rondo SX's that are better than this. It's big selling point is the way that it looks, because this is a very swank looking retro/modified style guitar. I'm going to fix it up and keep the sucker. Just replace the bad parts as they crumble beneath me. I also reviwed this guitar on Harmony Central, but that was before the grounding problem got so bad and the knob started falling off. I hate to say this stuff because sales rep Jay was so cool and nice to me, very friendly and helpful, but man, this guitar...let's just say I can work with it and make it into something decent. Meanwhile Jay is going to take the Hagstrom I traded him, relic it, and probably make some big bucks off of it. Yeah, I kinda got ripped off, but...I knew better and went ahead and let it happen. Still...damn guitar looks swank, doesn't she?